Investors pursued international allocations through ETFs, as European stock and foreign large blend led flows in January. 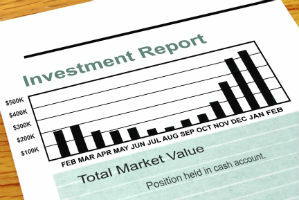 Despite an asset drop of 2.5 percent in January, $39.9 billion flowed into mutual funds in January, according to a new report. Cerulli Associates discloses this finding in the February 2014 edition of “The Cerulli Edge-U.S. Monthly Product Trends.” The report examines nontraditional fixed income strategies, including assets and flows for mutual funds and ETFs, trends impacting classes of mutual funds, and new product launches. Domestic equity ETFs experienced net redemptions of $20.9 billion in January. But sector equity classes performed better, enjoying flows of $2.8 billion during the month. “Demand for nontraditional bond funds and alternatives is on the rise, but this trend must not overshadow burgeoning opportunities in other categories,” the report states. While several years have passed since the financial crisis, investors remained hesitant to move money into domestic funds until 2013, when the equity market environment improved considerably. Taxable bond funds, while enjoying gains, constituted less than a quarter of mutual fund assets in January. Investors pursued international allocations through ETFs, as European stock and foreign large blend led flows in January. These were among the most popular categories in 2013. Since January of 2013, PIMCO has lost 1.2 percent in mutual fund market share. During the same period, market share of the top 10 mutual fund managers held constant at 58.3 percent. “While redemptions in funds such as PIMCO Total Return Fund made headlines, flows into nontraditional strategies such as bank loans (floating rate debt), unconstrained bond and fixed income alternatives counterbalanced asset drawdowns in traditional taxable fixed income,” the report states.